A Wonderful Life Home Health Care is here to help you customize your level of care to fit your personal needs. * Includes the tasks necessary for the upkeep and cleanliness of the home: Meal planning and preparation – grocery shopping, monitoring diet and food intake, preparing future meals and clean-up. * For clients who require no "hands on" care yet need stand by assistance and personal care (bathing, dressing and ambulation) to remain independent at home. 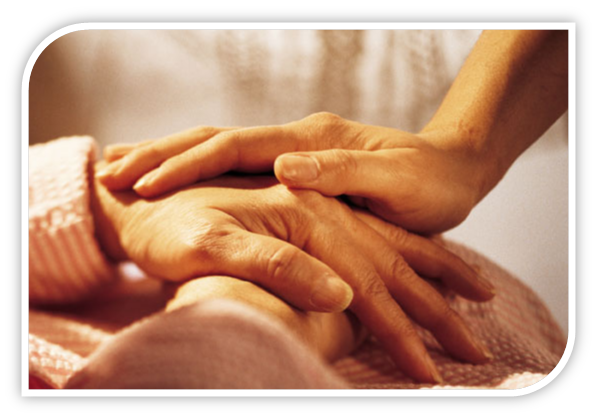 * For clients who require "hands on" care and need partial assistance with personal care (bathing, dressing, toileting, transfers and ambulation) to remain independent at home. * For clients who require "hands on" care and need total assistance with personal care (bathing, dressing, toileting, feeding and transfer) to remain independent at home. A Wonderful Life Home Health Care offers sleepovers for clients who require no more than two disturbances per night to remain independent at home. We also provide overnight care for clients who require more than two disturbances per night. For individuals who require total assistance we offer live-in caregivers. Here at A Wonderful Life Home Health Care, our Caregivers are flexible and will adjust to your schedule to help you live comfortably and safely in your home. We have also implemented a more responsive (24 hour-a-day) staff that uses the very latest in scheduling software and document systems to make sure you’re taken care of. When our clients call us, even if it is at 2am, they are greeted and assisted immediately by a helpful, live person who has access to all of their records.